The world-renowned biomedical research university wanted to update their communications material to tell their unique story. 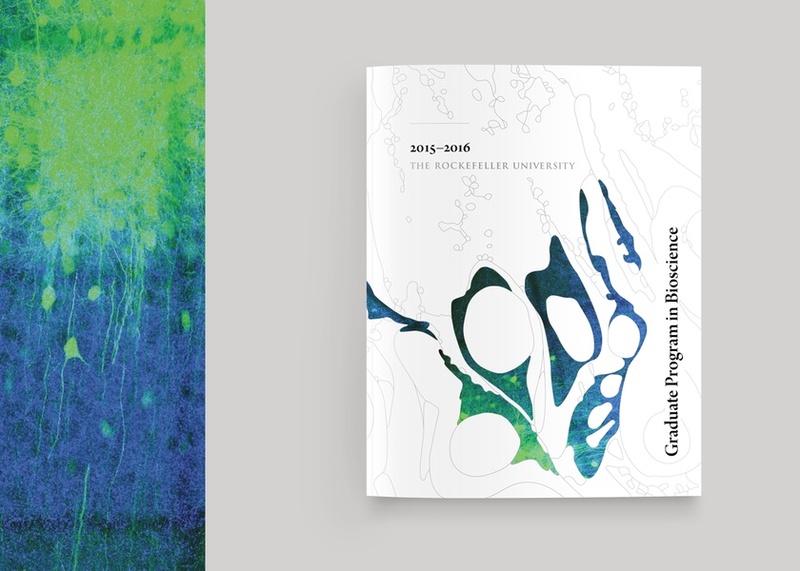 C&G Partners was tasked with highlighting the unusual qualities of this remarkable institution—whose numerous accolades include 24 Nobel prizes—through a suite of communication materials that included a Graduate Program Booklet, Scientific Prospectus, Campus Map, Annual Report, and Overview Brochure. 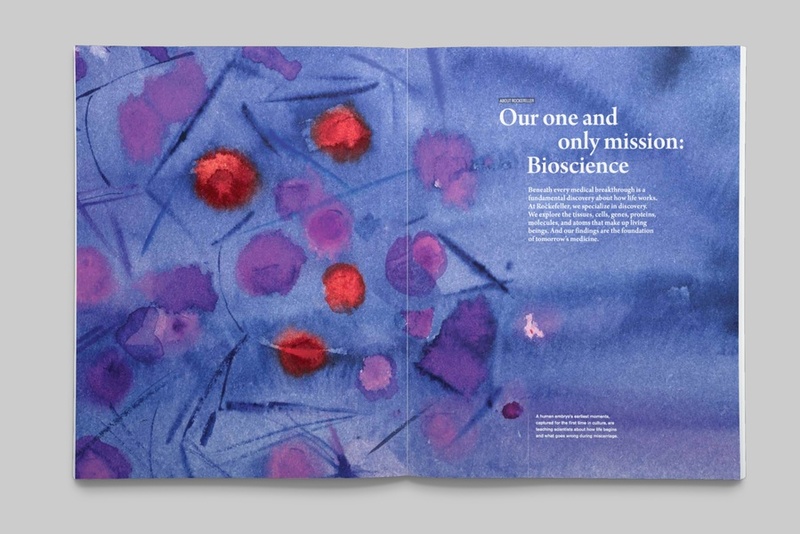 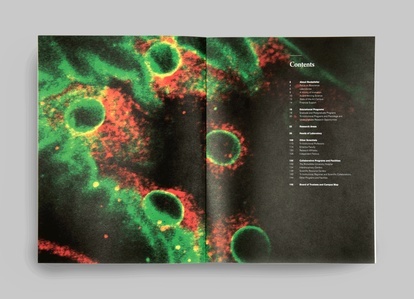 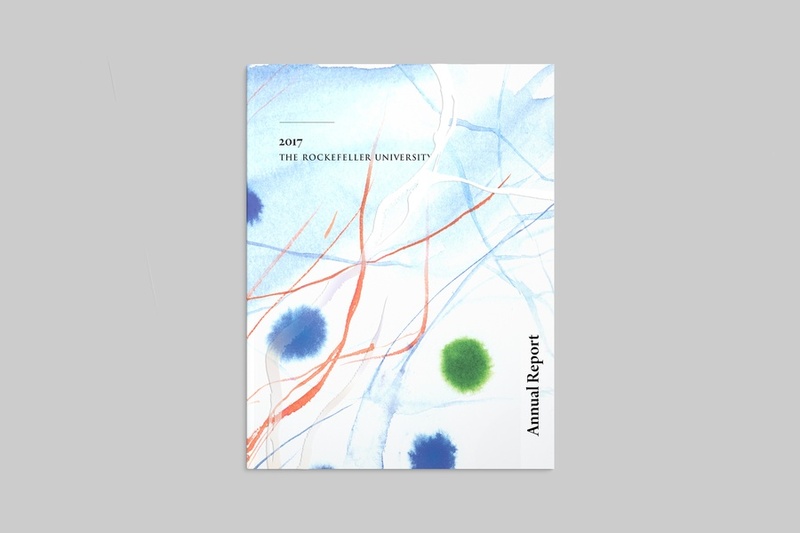 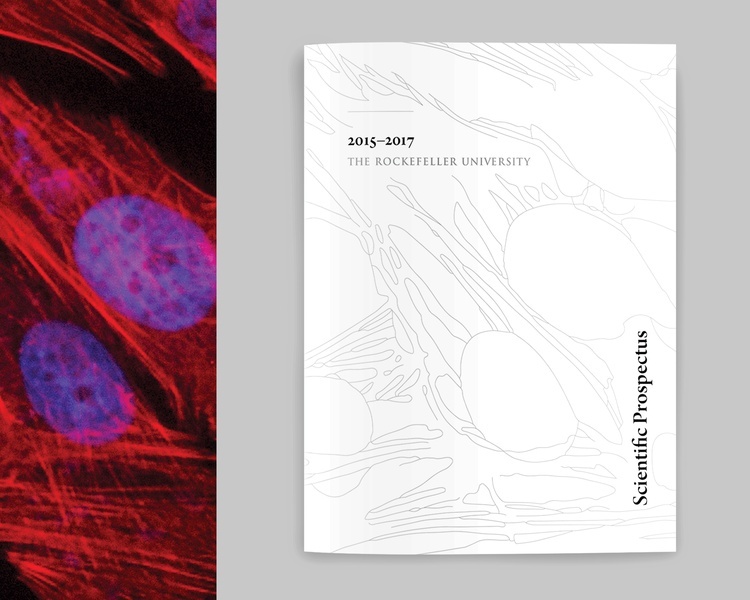 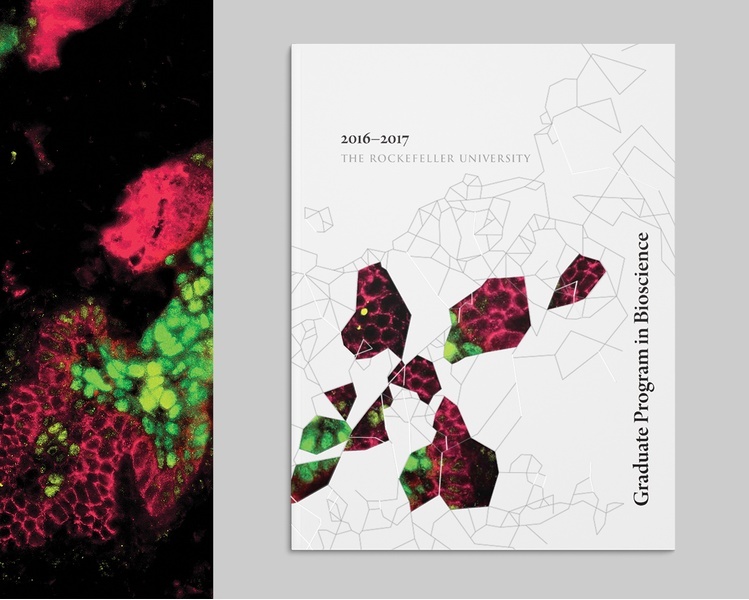 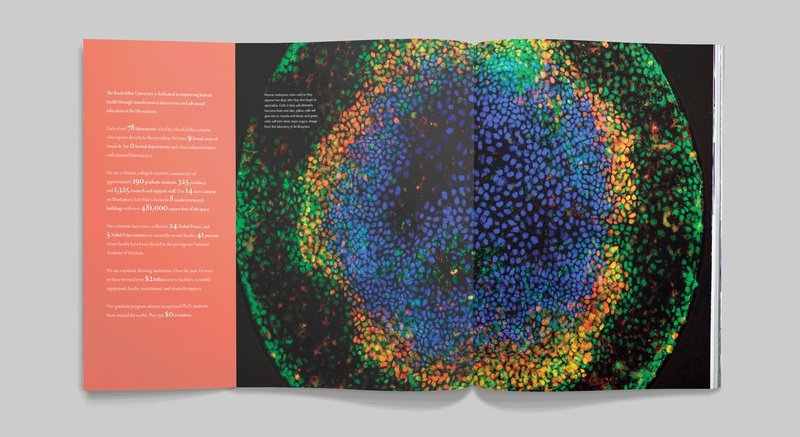 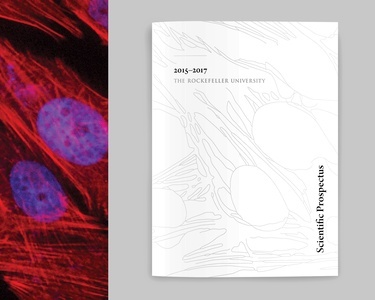 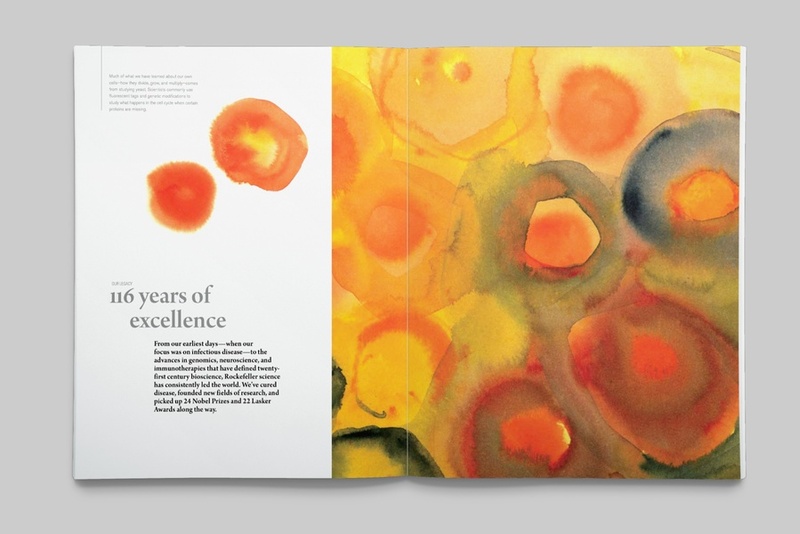 To capture the institution's incredible innovation in bioscience we transformed scientific imagery, from actual University research, into line-art which was then abstracted to resemble modern art. 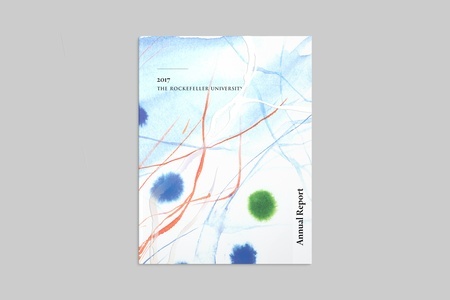 Conveying modern, forward-thinking science, this technique has become a signature design element for the University’s communications materials. 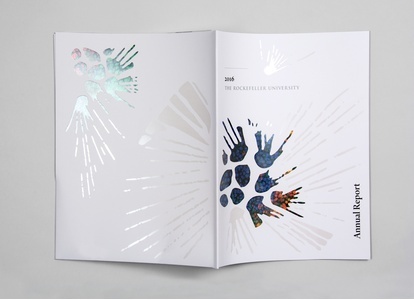 The use of high-quality printing techniques and materials such as translucent paper, metallic ink, and subtle foil stamp conveys a sense of understated premium quality. 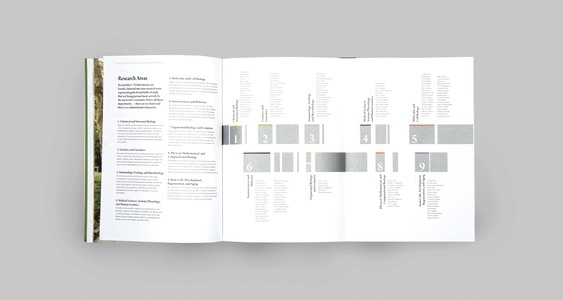 Design elements such as a fold-out diagram of research areas echo the institution's flat structure that is absent of department or hierarchal restrictions. 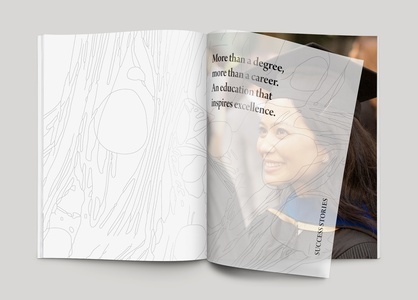 Engaging hands-on portraits, quotes, and a focus on real scientific discovery are used to tell the story of individual students and faculty at the small, world-class scientific oasis in the heart of New York.